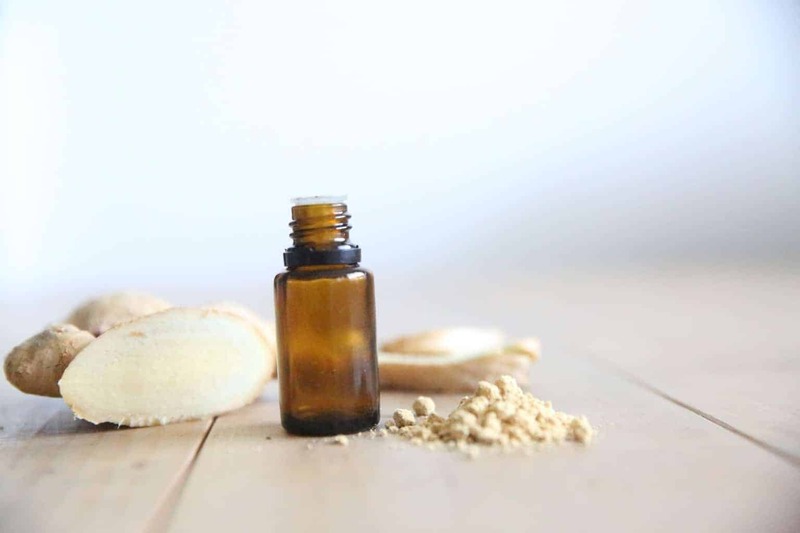 LEARN ALL ABOUT GINGER ESSENTIAL OIL: USES AND BENEFITS, ROLLER BOTTLE RECIPES, AND DIFFUSER BLENDS. FREE PRINTABLE LABELS AND RECIPE CARDS. Ginger essential oil makes it into a lot of my roller bottle and diffuser blends. 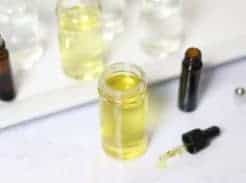 Therefore, I thought it was time to devout a whole post to this wonderful essential oil. Above all ginger is known for it’s benefits it has on the digestive system, but it also has the ability to boost the immune system, calm the nervous system, and so much more! This post will explain it all, plus I will share my favorite blends using ginger. Get access to my online resource library here for your free printable label and diffuser blend recipe card. Ginger comes from a knotted underground stem called a rhizome. The essential oil is steam distilled from the stem of the ginger plant. Ginger can either be used fresh, dried, or as an essential oil. Ginger is very popular in the Asian culture, in result it makes it into most their dishes. Also, ginger has been used as a remedy for digestive issues for hundreds of years. There are many ways to use ginger as a natural remedy, such as in a tincture, capsule, tea or extract. HOW DO YOU USE GINGER ESSENTIAL OIL? Ginger essential oil can be used topically, aromatically, or internally. 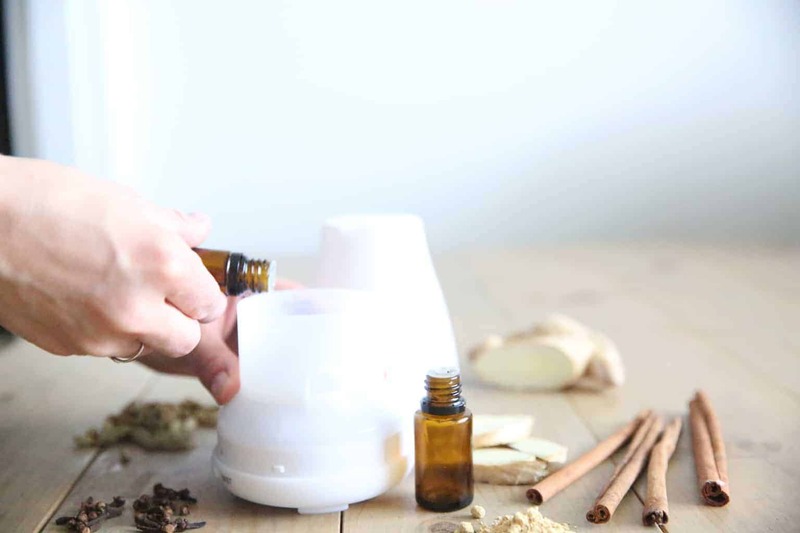 FOR AROMATIC USE: To diffuse ginger essential oil add 4-6 drops to a diffuser. Inhale ginger straight out of the bottle or add a couple drops to the hands, rub together, and cuff over the nose. Just by inhaling ginger it can help to relieve nausea. FOR INTERNAL USE: Add 1-2 drops of ginger essential oil to a veggie capsule and swallow when dealing with any digestive issue. Or put 1-2 drops of ginger under the tongue, hold it there for 30 seconds, and then swallow. Or add 1-2 drops of ginger to 4 ounces of water, drink to soothe stomach. Ginger has an antiemetic effective on the body and is a great carminative, which means it helps to eliminate extra gas from the intestinal tract. Some studies have shown ginger to be more effective than Dramamine! It is especially good for helping with certain types of nausea, upset stomach, and also great for babies. Apply ginger to the stomach, take internally, or use aromatically when feeling nauseous, bloated, experiencing stomach cramps, or dealing with abnormal digestion. 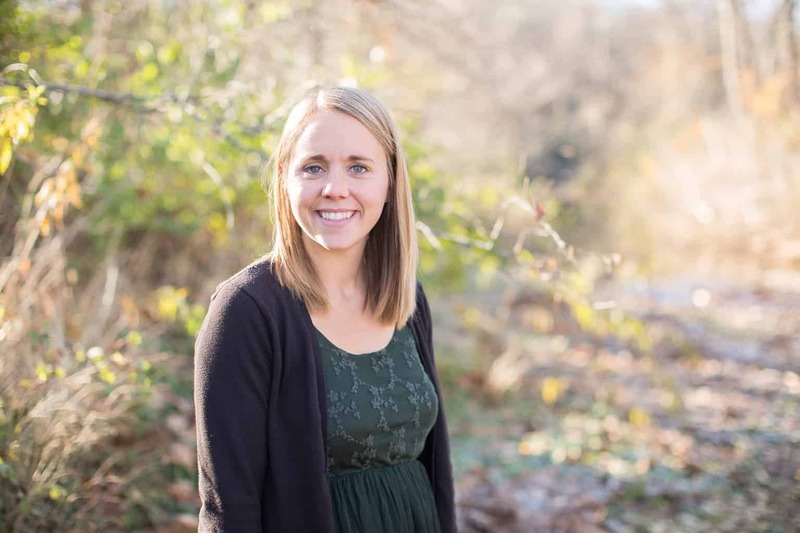 Learn more about using essential oils with babies in this post. Another great benefit of ginger is it abilities to help calm and relax you. In result, making it very effective for stress and anxious feelings. It also has stimulating properties that can help with sadness, anger, and restfulness. Use topically on the pulse points and diffuse before bed to promote a healthy night sleep. Ginger as the ability to work as an antiseptic agent and can kill infections, especially those in the digestive system. It can be effective in those things by taking it internally and applying it topically to the stomach. Ginger essential oil can be used to boost the immune system and fight off environmental threats before you catch them. Use ginger topically on the bottom of the feet and down the spine for extra immune support. Another way to use ginger essential oil is to help break up mucus in the chest and lungs. Ginger promotes clear airways and healthy breathing. Add 1-2 drops of ginger to a mug of steamy water, lean over the the mug, and breathe in. This will help with congestion and removing unwanted mucus. This is a very effective remedy for blocked sinuses. Ginger is a good source of antioxidants and can relieve discomfort. Take ginger internally or use topically on the area of concern. Ginger has several properties and components that make it very effective for relieving tension within the body. Studies show that ginger essential oil can reduce the amount of prostaglandins in the body, which are compounds associated with pain. 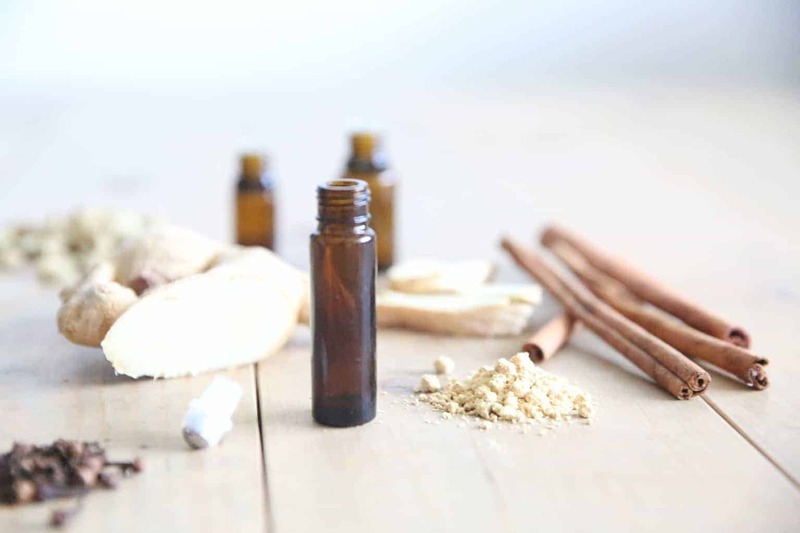 Finally, ginger essential oil can be used for an aromatherapy message. Add several drops of ginger essential oil to coconut oil, homemade whipped body butter, or lotion and use it for an massage. Due to its chemical makeup, ginger has a nice warming effect and makes for a soothing back massage. 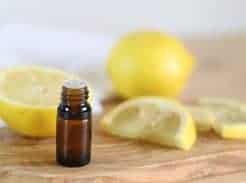 Add 15-20 drops of ginger essential oil to a 10mL roller bottle. Top the roller bottle off with a carrier oil. Learn more about carrier oils here. Apply to stomach, chest, bottom of feet, or bridge of nose. Applying it to the bridge of the nose allows you to get aromatic benefits as well. Essential oils can be used in the kitchen for their delicious flavor and benefits. Remember that essential oils are very concentrated and a little goes a long way. 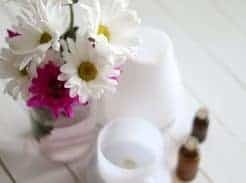 Heating essential oils up will make them lose some of the therapeutic benefits, in result try to use at the end of the recipe. Add 1-2 drops of ginger essential oil to an herbal tea to relieve nausea. Ginger oil can be used in baked goods like ginger snaps, banana bread, pies, and cookies. 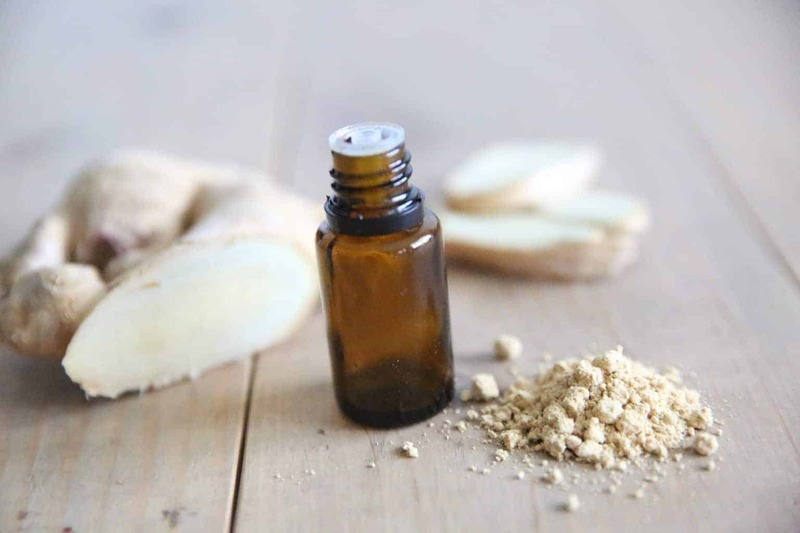 What are some of your favorite ways to use ginger essential oil? Have any tired and true recipes, share with us in the comments!